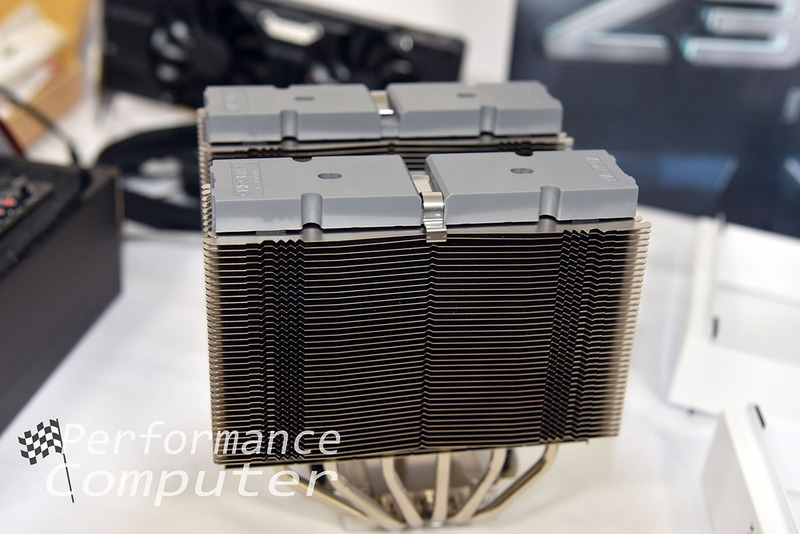 I must admit, before Noctua sent us their NH-D15S heatsink, I was all in on AIOs. After all, they’re easy to install, cool components effectively and require no maintenance. 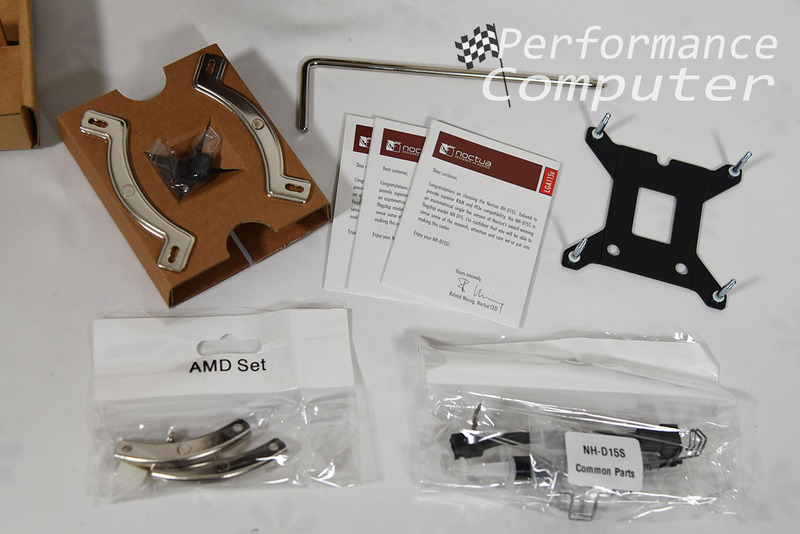 However, the Noctua NH-D15S surprised me and while installation is a bit more involved than an AIO, its cooling performance and quiet operation make it one of the best CPU cooling solutions available. We upgraded our D15S with a Noctua chromax black swap fan and white chromax heatsink cover to create a monster CPU cooler for our 8700K processor. 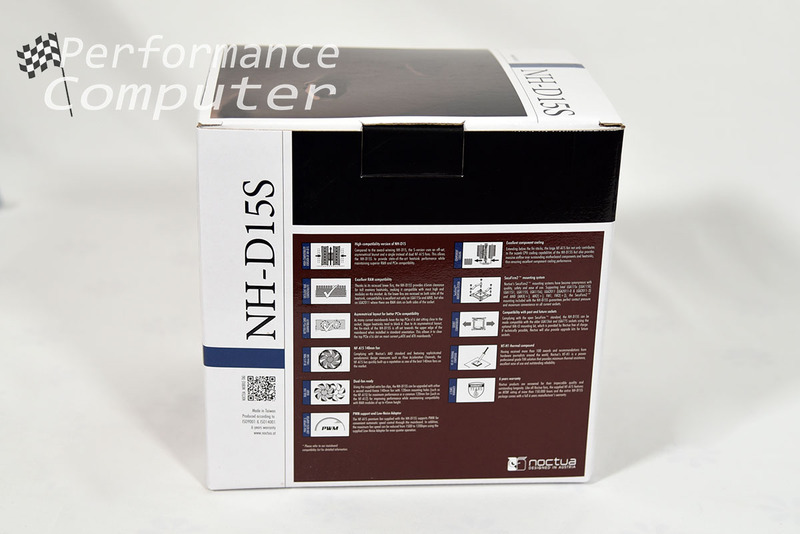 Starting with the box, Noctua lists several key features of the D15S on the front. The back of the box includes pictures and enhanced descriptions of the features listed on the front. I was really impressed with the level of packaging that goes into Noctua heatsinks, the heatsink itself comes in one box, the accessories come in a separate box and both boxes are very well insulated with large foam padding. In other words, there’s no way these units will arrive damaged! Upon removing the D15S heatsink from its box, I was amazed at its sheer bulk. This is a serious heatsink and it oozes quality. This is a heatsink you buy once and will re-use again every time you upgrade your system. Six large nickel-plated copper heatpipes connect the base of the unit to the aluminum fins on each side. 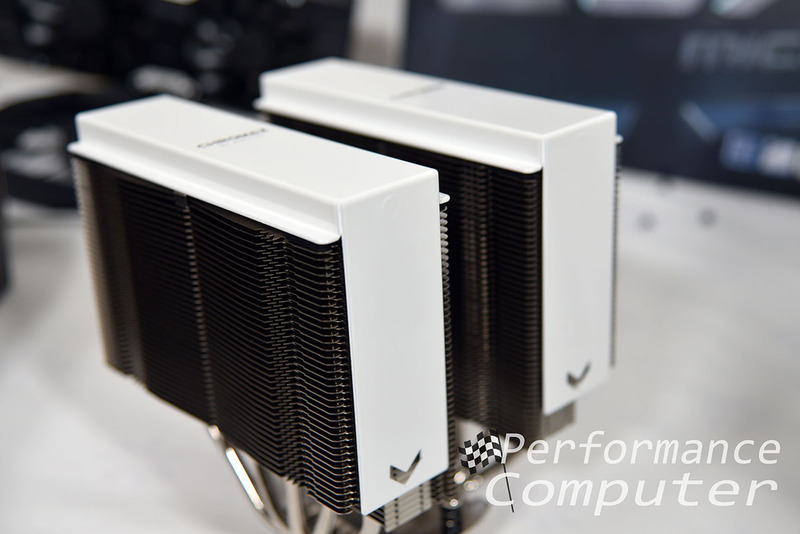 There are many fins on the D15S and if its design is any indicator, the D15S is an effective cooling unit. 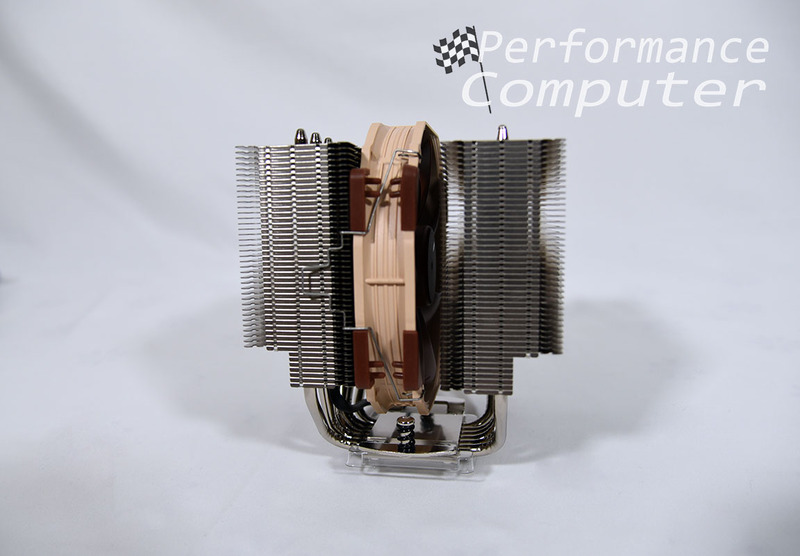 A large 140mm Noctua NA-A15 PWM fan is clamped onto one side of the heatsink. An additional 120mm or 140mm fan can be installed on the other side but make sure it will fit in conjunction with your motherboard and RAM. The Noctua logo is on the top of each side of the heatsink. The bottom of the unit is a large copper nickel plated baseplate. You can also see the recessed lower heatfins which provide better RAM compatibility compared to the non-S version of the NH-D15. 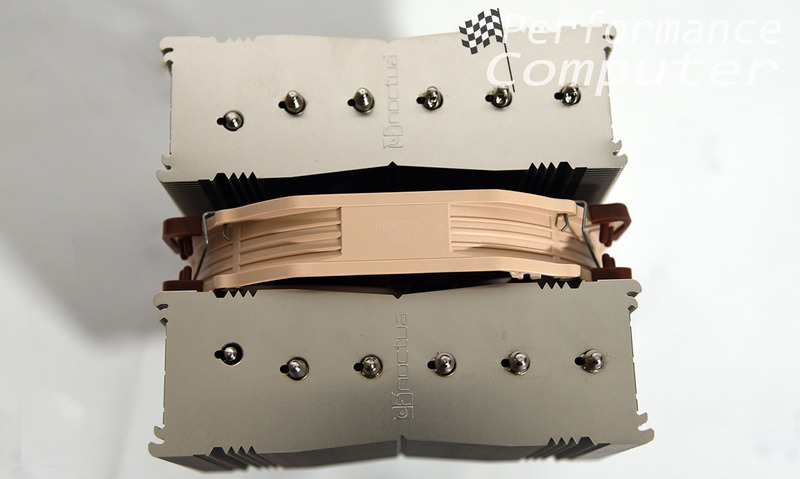 Noctua heatsinks have long been revered for their top-tier cooling abilities and quiet operation but their understated design and their brown fans specifically, are occasionally the subject of ridicule among PC builders who value aesthetics above all else. Well, no more! With their new chromax line of fans, cables and heatsink covers, Noctua has a color scheme for every build imaginable and these products are sure to make even the most discerning PC builder happy. To go with our white/black theme, Noctua sent a NF-A15 HS-PWM chromax.black.swap 140mm fan to replace the stock brown NF-A15 that’s pre-installed on the D15S. 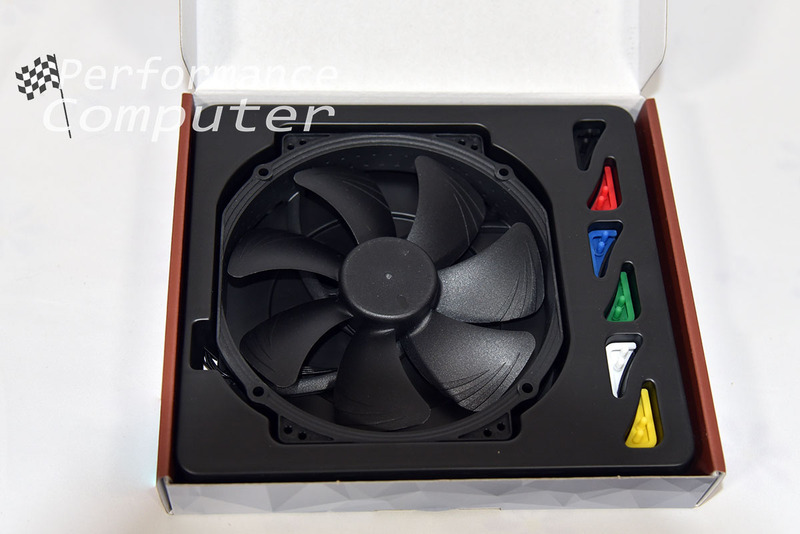 The front of the box displays the fan’s specs as well as a small picture of the fan outfitted with the different colored anti-vibration pads. It also displays the included pad colors next to the fan. 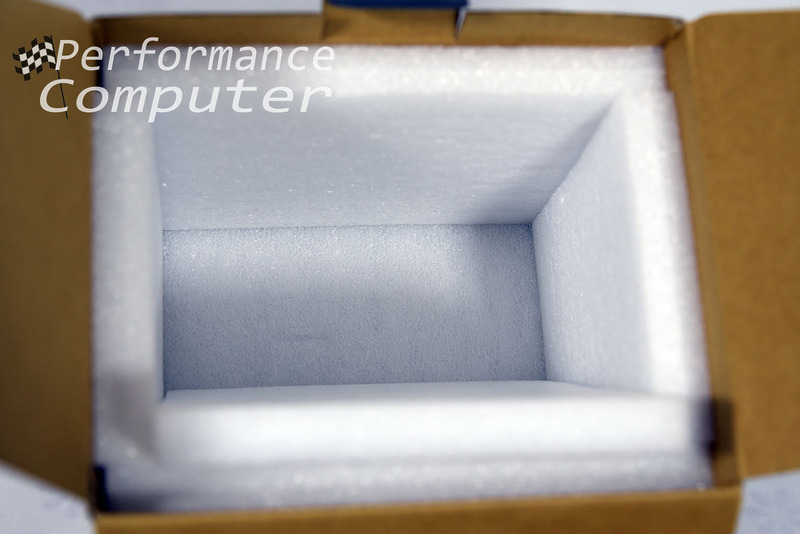 The back of the box displays detailed technical information such as rotation speed, airflow, and noise levels. 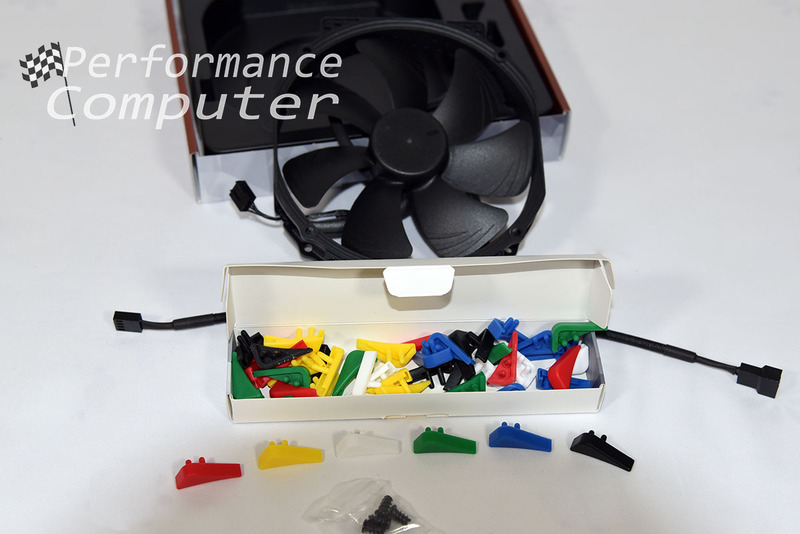 Inside the box you will see the fan as well as six different colored anti vibration pads: black, red, blue, green, white and yellow. Finally, a second box under the fan tray has the additional anti-vibration pads necessary for installation in every color. There are also four mounting screws if the fan is to be installed in a case. A low-noise adapter is also included. The fan itself come installed with a long extension cable that gives plenty of slack for most setups. It feels and operates just like the preinstalled NF-A15 PWM. 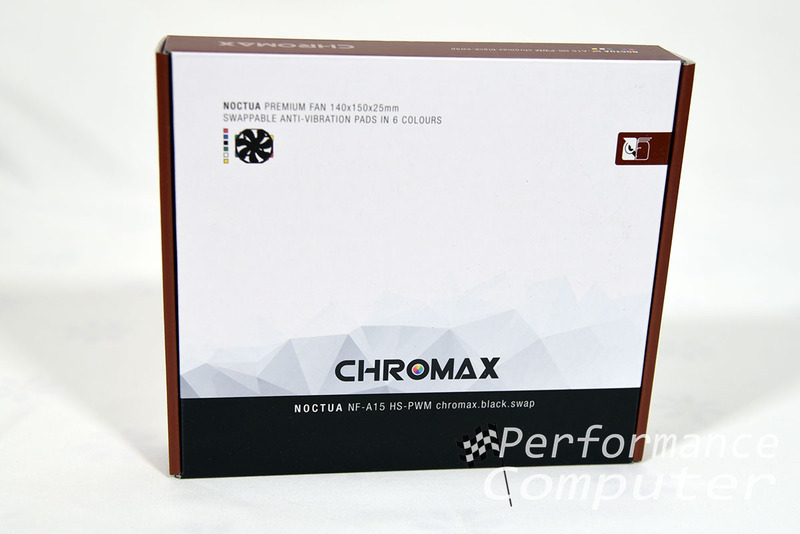 The customization Noctua now provides with their chromax line further strengthens their already strong lineup of industry leading fans and heatsinks. 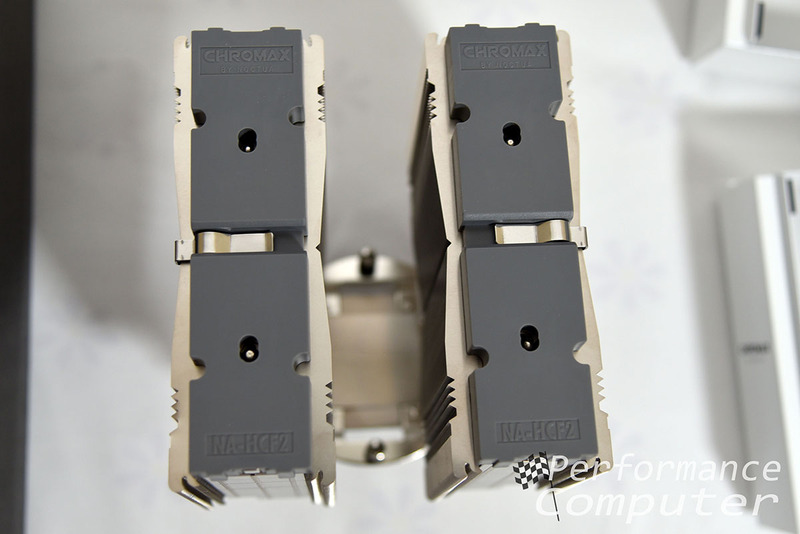 Noctua also sent out a Noctua NA-HC4 chromax.white heatsink cover kit for the D15S. 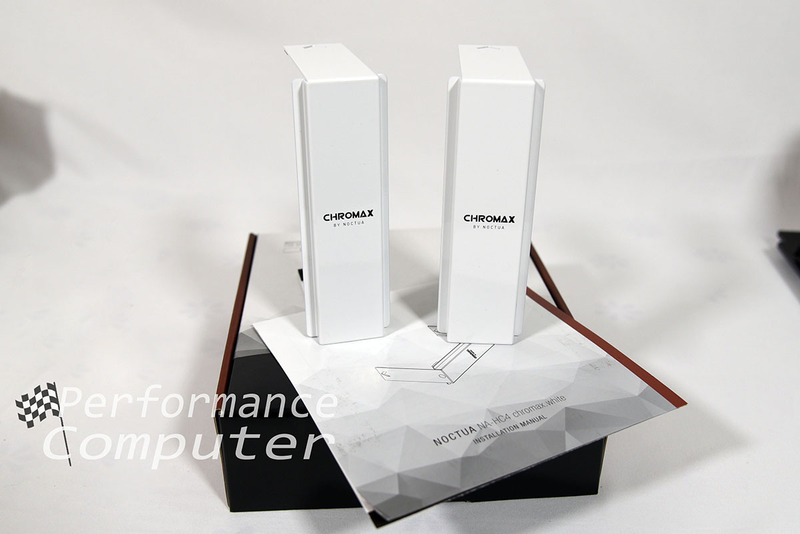 The chromax series of heatsink covers is one of those rare ideas that takes an existing flagship product and without altering it, improves upon it without compromising the products’ greatest qualities. 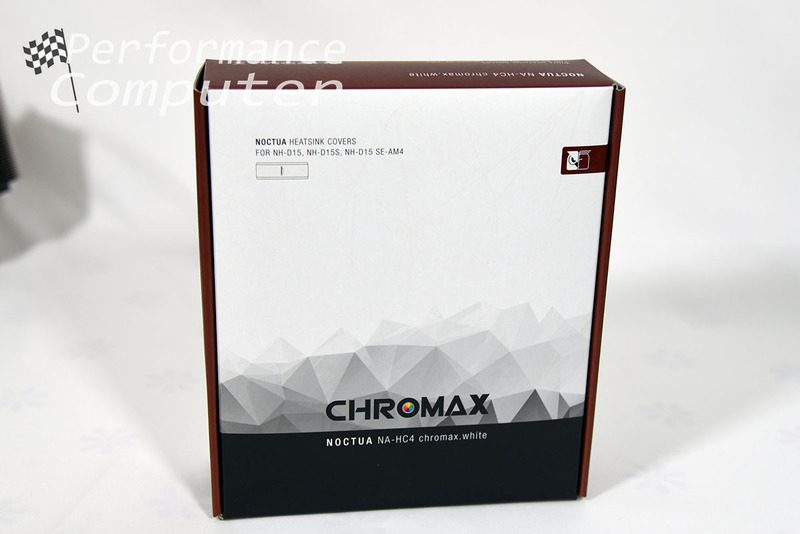 The box for the Noctua NA-HC4 chromax.white maintains the same aesthetic as other Noctua product boxes and displays the compatible heatsink model numbers on the front. The back lists additional information as well as a product picture. Inside you’ll find the instructions, two white heatsink covers and two steel clips. Before I get into the installation, I must give kudos to Noctua for the excellent design of these covers. Not only do they look stunning but they way they are installed is ingenious! 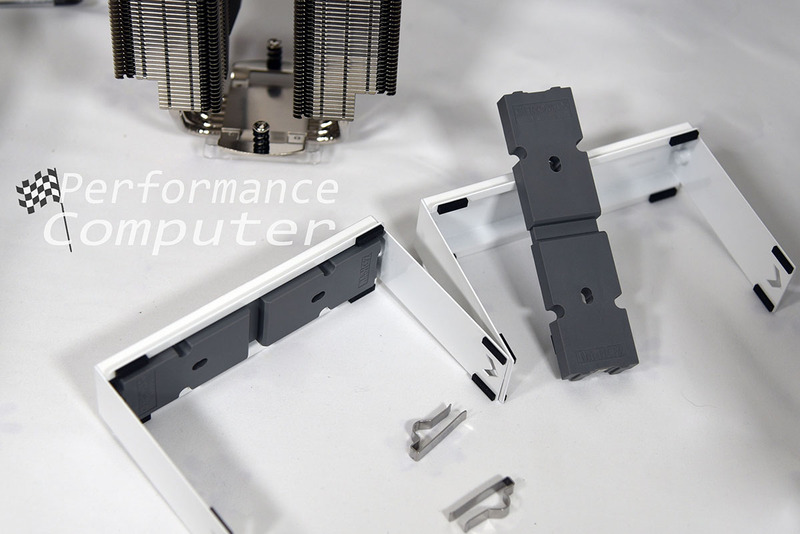 Upon removing the heatsink covers, you’ll notice a gray fixture on the underside of each cover. If you pull away in the corner, the fixture will come off as you break the connection of the magnets holding it in place. You then place the fixture on top of one side of the D15S. Next, secure the fixture to the heatsink with one of the steel clips. Finally, slide a cover over each fixture and the magnets do the rest. It’s that easy! You don’t have to detach the fan and can even do this while the heatsink is installed on the motherboard. Amazing! 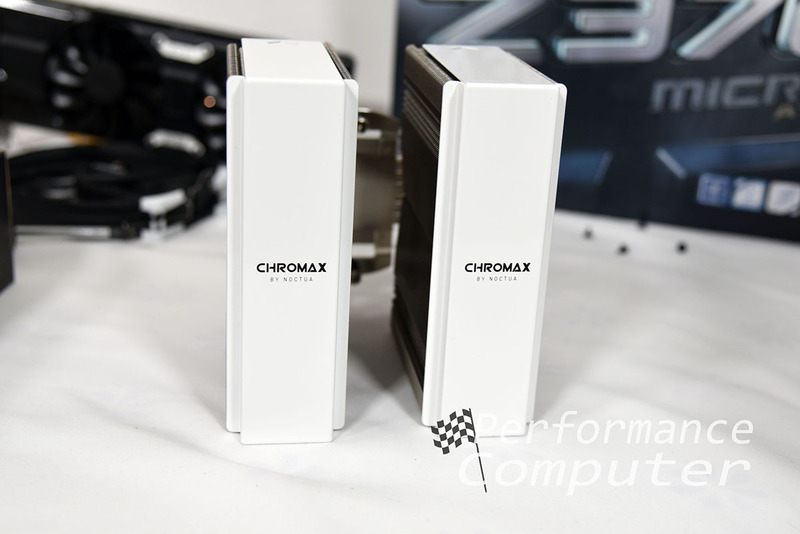 After seeing the chromax heatsink cover in person, I can’t imagine building with it. While most aesthetic add-ons are a waste of money, the NA-HC4 can be seen and enjoyed every day if you are one of the many with a case that has a tempered glass side panel. The sheer quality of the covers and the stark change they have on the looks of your PC is well worth the price. Our non-delidded Intel Core i7-8700K was overclocked to 5GHz and the NH-D15S had 1 NF-A15 HS-PWM chromax fan installed. 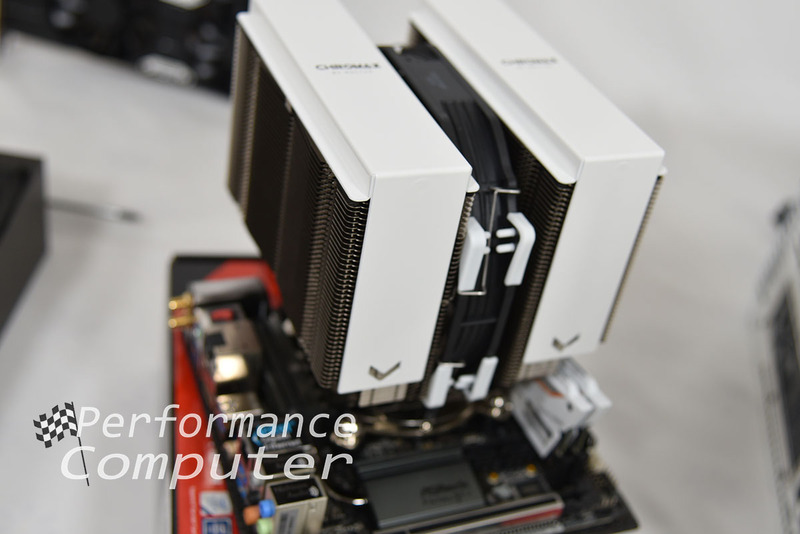 Our idle temperatures hovered around 29° which was only slightly higher than our EVGA CLC 240 AIO liquid cooling unit. We were impressed with these initial results. However, even more impressive is our 79° temperature during 100% load! 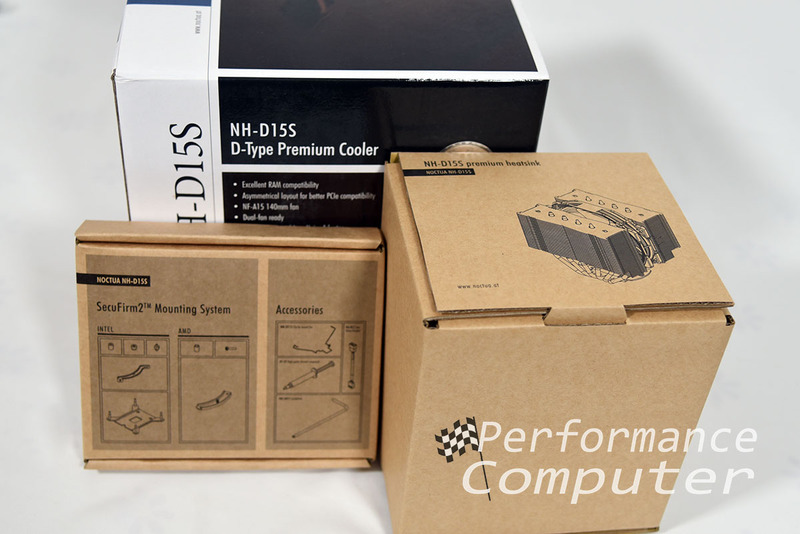 Just as with our idle temperatures, the D15S stayed in range of a high-quality 240mm liquid cooling unit, no pump noise necessary! If we installed a 2nd fan, the D15S might even surpass an AIO. So, if you are after the highest possible performance and feel you must have an AIO to attain it, think again. 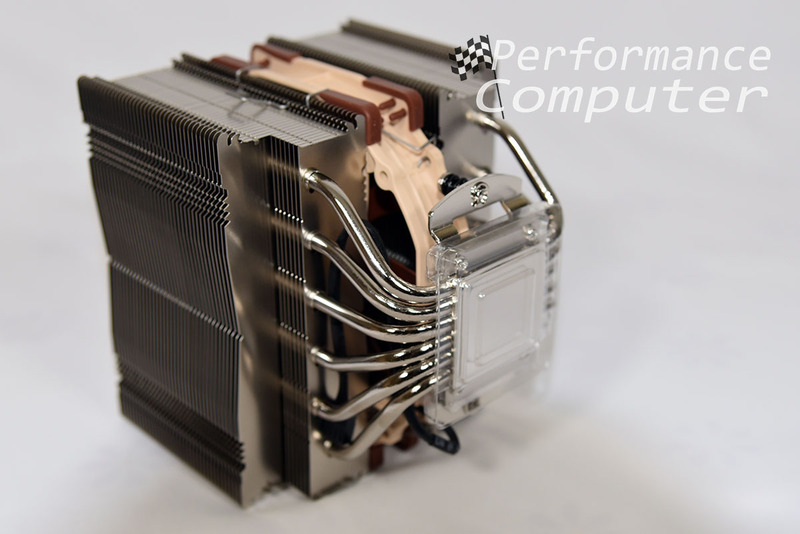 The Noctua D15S is a most capable heatsink and it shows exactly why AIOs have not replaced traditional CPU cooling solutions. Plus, there is literally no maintenance with the D15S. Yes, AIOs don’t require maintenance but the liquid mixture inside them does eventually breakdown and they have been known to fail and even ruin systems with water going everywhere. These situations are rare but nevertheless do occur. 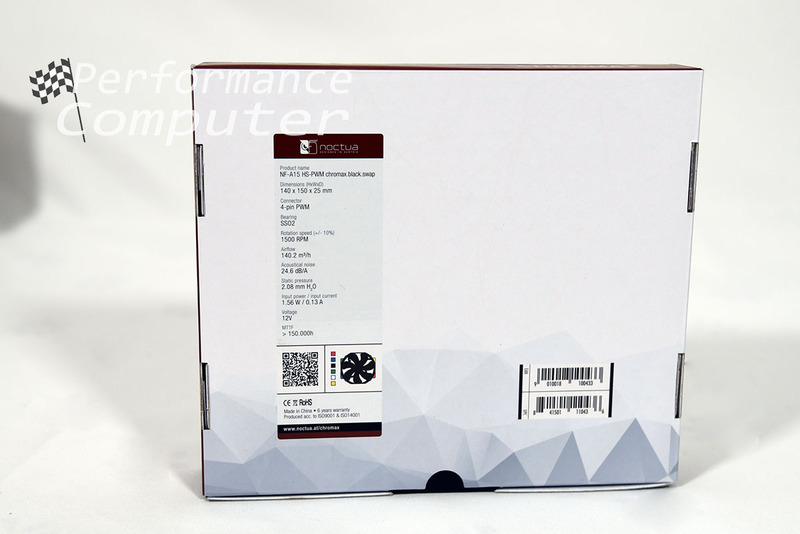 The Noctua NH-D15S is a fantastic value. Yes, it’s a bit more expensive but it’s well worth the investment. Not only does it rival AIOs in performance, it does so while maintaining a much lower noise profile. 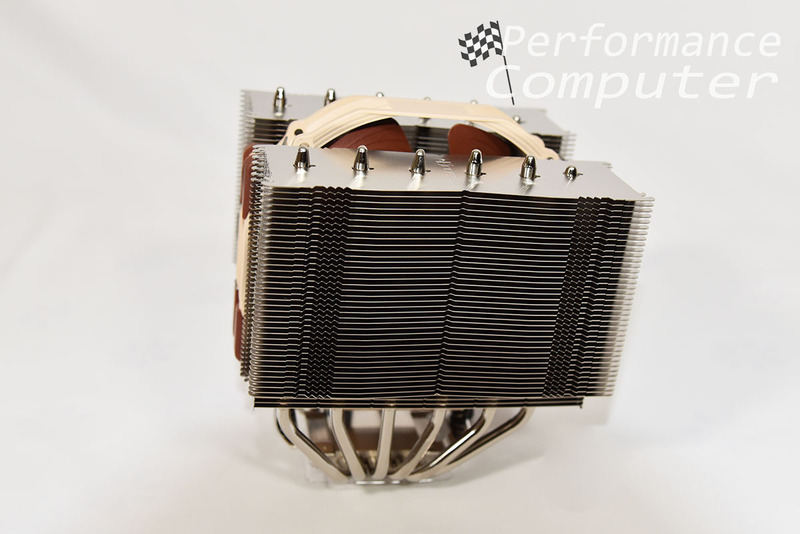 Plus, this heatsink can be carried over every time you upgrade or rebuild your computer. 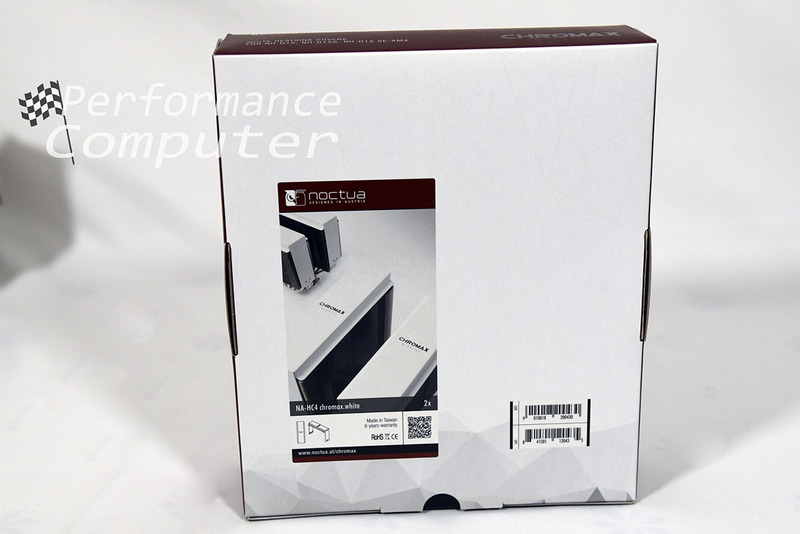 Lastly, Noctua brings a level of quality to the table that few manufacturers can match. 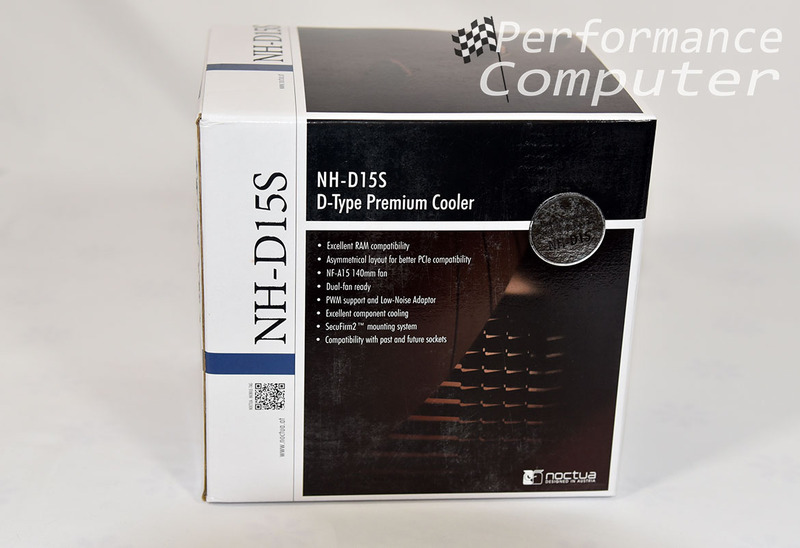 The NH-D15S is no exception and its 6-year warranty is among the highest in the industry. 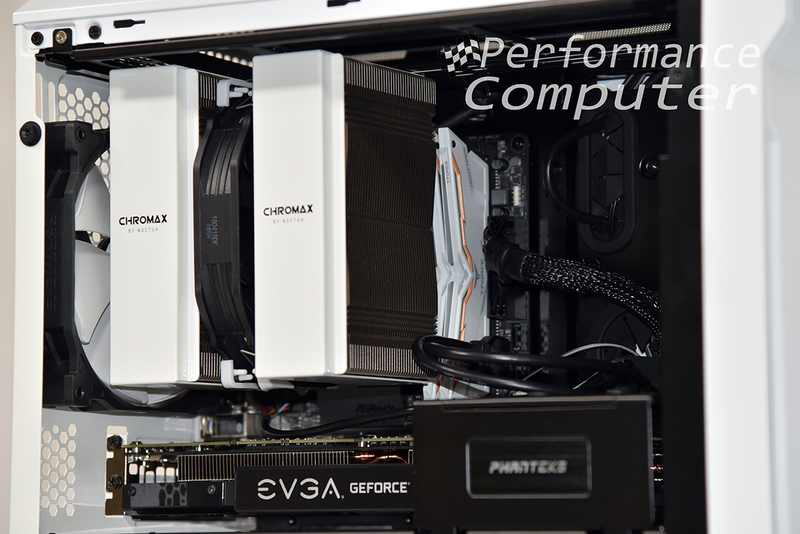 We thoroughly enjoyed the Noctua NF-A15 HS-PWM chromax.black.swap fan and NA-HC4 chromax.white heatsink cover. 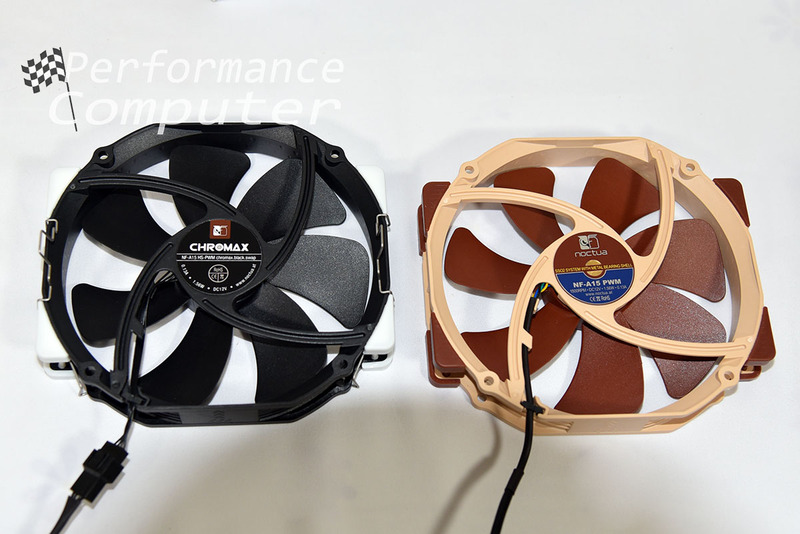 Noctua’s new chromax lineup lets users completely customize their coolers with several different color schemes without compromising their cooling performance or low noise levels. These upgrades and add-on parts are sure to please Noctua diehards and even attract new users looking for a high-quality, customizable cooling solution. 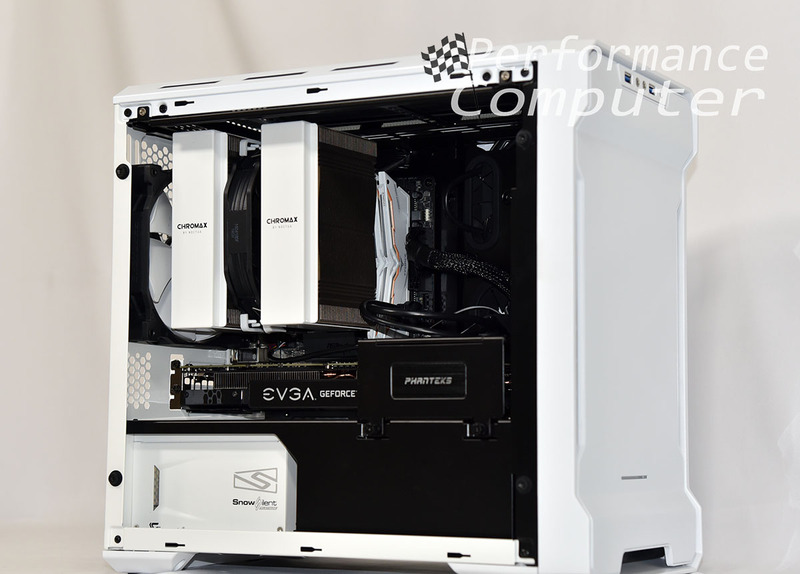 We highly recommend all of the parts reviewed in this article!